Minor spoilers ahead, but not for the main plot of this book. Maisie Dobbs, properly Lady Compton, but she won't use it because it reminds her of what she's lost, is starting, very slowly, to recover from the loss of her husband and her unborn child. 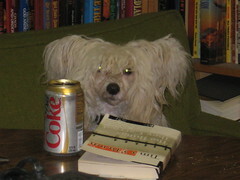 She's back in England, spending time with her friend Priscilla, her father Frankie, and her stepmother Brenda. Europe is sliding toward war, though, and British intelligence has a mission for her though, something they believe only can do well enough. They need her to go to Munich, posing as the daughter of a British industrialist and "boffin" who has been imprisoned there for two years. The Germans have finally agreed to release him--but only into the custody of a family member. He has no surviving family except his daughter, and she's too ill to travel. Maisie, though, speaks French fluently and German passably, and is close enough to the daughter in appearance that she be made to pass for her, especially since Miss Donat wasn't a socially active woman when she was well. So against her better judgment, after a few weeks of training in spycraft and learning to be Miss Donat, Maisie is off to Germany. She encounters all the malicious bureaucracy of early Nazi Germany, but patience, persistence, and going with her experience and training finally leads to the moment when she is inside Dachau, seeing for the first time the man the Germans have imprisoned for two years as her "father," Mr. Donat. That's when her mission goes off the rails, and becomes a mire of mystery, confusion, and intrigue. And accomplishing her mission may force her to ally with the woman she holds responsible for her husband's death. 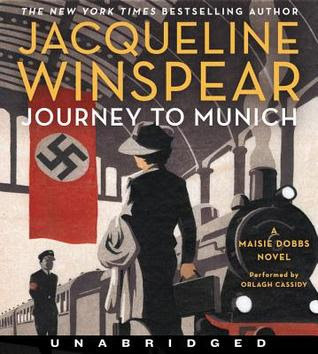 I think Winspear had hit a point in the Maisie Dobbs novels where, if she didn't break form, Maisie would have nothing to do that wouldn't be repetitive. Anne Perry worked through a similar problem with the Thomas & Charlotte Pitt series; eventually, Thomas's rise through the police ranks reached the point where he had to become head of the department, but doing it wouldn't be plausible for a character of his relatively lowborn origins. So Perry gave him a major change in direction. Winspear appears to be doing something very similar here. It's true the book ends with Maisie saying she's never doing another intelligence mission, and getting her old team together in office space not far from their old office--but she seems to have very different plans, even if they haven't been articulated to the reader yet. This Maisie is older, more hardened, more confident, and I'm looking forward to seeing where Winspear goes with her in the future.